Toward the end of his time as a team leader with Keller Williams Realty in 2011, Jordan Connett realized that listing agents’ jobs were much easier than they used to be. Agents can easily place their listings in front of millions of homebuyers on powerhouse, cutting-edge portals like Zillow, Trulia and realtor.com; and paperless platforms like dotloop and DocuSign eliminate the time and hassle their pre-digital predecessors had to expend to simply collect documents and get them signed. That new reality, paired with the fact that listings carry some inherent value to real estate brokerages and agents alike, led Connett to conclude that listing agent commissions would increasingly compress below the current 2.5 percent range. He decided to get a jump on what he saw coming by founding Redefy, a Denver-based real estate franchise that lists homes for a flat fee of $2,500 (for homes under $1 million) for full service. 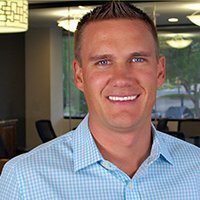 Since beginning franchising in January 2014, Redefy has 103 agents and 10 affiliates in markets ranging from Colorado and Texas to South Carolina and Florida. Connett’s not the only one to recognize that the winds of change may be blowing in this direction. Redefy and Houwzer offer full service. Houwzer, for example, offers high-definition photography, a high-definition virtual tour, featured placement on national portals and more. 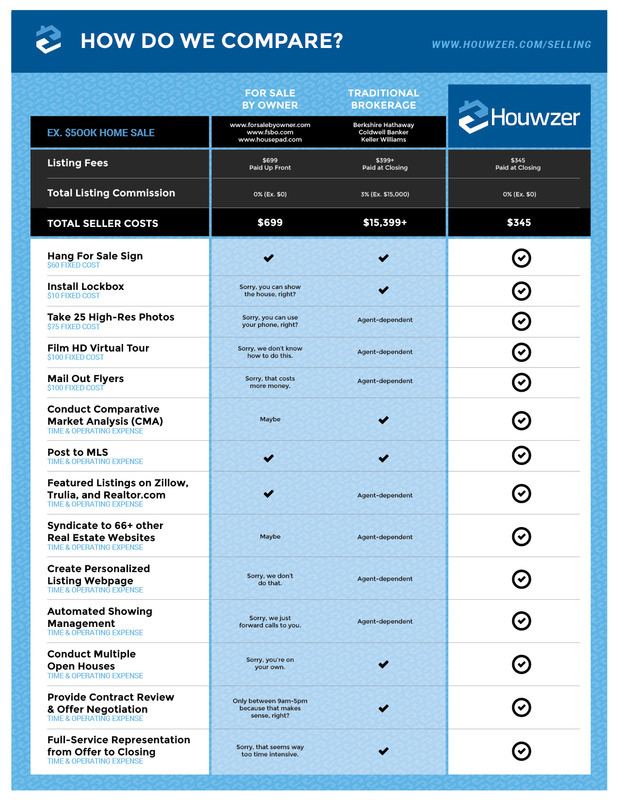 (Check out a Houwzer chart comparing its listing service with traditional brokerages and for-sale-by-owner listing services). Houwzer pays traditional commissions on the buy side. These guys aren’t alone, either. Inspired by the same take, Los Angeles broker Courtney Poulos recently launched a firm to charge high-end sellers by the hour based on a perspective that listing agents generally collect fat paychecks for a lean amount of work, especially for high-priced listings. Redefy started franchising at the beginning of last year. It has 103 agents at 10 affiliates in Northern Colorado; Austin, Texas (opening May 1); Phoenix; Charleston, Greenville and Charlotte, South Carolina; and Orlando, Florida (opening June 1). Its affiliates have done a combined 193 transactions this year. Roughly 65 percent of those were on the listing side. Like Houwzer, Redefy collects traditional commission splits for the buyers it represents. It also pays many of its agents salaries, but not all of them. It has what Connett calls “in-house” agents and “field” agents. Field agents outnumber in-house agents at a ratio of roughly five to one. Redefy’s in-house agents receive a salary and focus on the digital paperwork involved with securing a client, getting clients and deals signed, and negotiating deals. Field agents, on the other hand, are paid a flat fee for every listing they bring in. If they bring in a buyer, they are paid a traditional commission split in the range of 2.5 percent — whatever the local market bears, said Chris Rediger, a partner at Redefy. The firm still gets roughly twice as many buyer leads as listing leads, but it focuses on listing leads. “The quality leads are the listing leads,” Connett said. Connett said the Redefy model requires lots of leads to work, but the firm doesn’t lean heavily on the big portals for leads. Of the 500 leads the firm generates in a month, less than 1 percent come from the portals, Connett said. The firm generates leads from email and digital marketing, search engine marketing and search engine optimization of its website. It also does direct mail marketing, Connett said. Process is also important to the model, he said. “We’re focused on the assembly-line approach to real estate — like Henry Ford,” Connett said. All leads that come in are scrubbed through a live person to help the firm follow up on them fast and increase its lead-gen conversion rate. It holds agents accountable to process a minimum number of units each month. Technology is a big part of what makes the Redefy engine hum, Connett said. 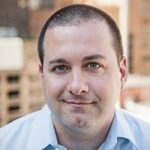 Redefy has built a proprietary customer relationship platform that powers everything the network does: transaction management, email marketing, lead-tracking and more. The system also features an automated feature that automatically alerts the appropriate parties when a deal or lead moves through the system, Connett said. Connett said the firm has raised “significant” cash but would not reveal a number at this time. It has six additional franchisees signed and coming on board soon: in Houston and San Antonio in Texas and Tampa, Miami, Jacksonville and Fort Myers in Florida. “Listings beget listings and listings beget buyers,” Mike Maher, Houwzer’s co-founder and CEO, told Inman. Maher, who has an MBA from Vanderbilt, said the idea for Houwzer first germinated with the firm’s co-founder Kevin Baird, a developer in Philadelphia who was tired of paying large commission checks to listing agents for work he felt didn’t match the cash they were collecting. He paired that dislike with a desire to rethink the framework of a real estate brokerage in the digital age. Maher wondered “where’s the fat?” when discussing the 6 percent commission that buyer and seller agents typically split when they help sell a property. He and Baird determined the bloat was on the listing side, given that technology has made listing agents’ lives so much easier. For example, agents can post listings from the closing table now, Maher said. Unlike Redefy, Houwzer leans heavily on the three largest portals. Houwzer pays to prevent other brokerages and agents from advertising all of its listings on Zillow, Trulia and realtor.com. In that way, they capture 100 percent of the buyer leads generated from the traffic on those particular listings. The firm, which currently has 25 active listings, also has salaried agents. It plans to keep agents focused on just one side of the real estate transaction: Its buy-side agents will only represent buyers, and its sell-side agents will represent only sellers. Often a person listing a home is also buyer. Houwzer asks the seller to represent them on the buy side if they plan on buying another house, though saying “yes” is not a condition of listing with Houwzer. Because the firm pays to feature all of its listings on the portals, home shoppers on those sites become buyer leads for the firm, either of that home or another on the market. (To address dual-agency concerns — where a single agent represents both buyer and seller on a property sale — Houwzer won’t let agents double-end deals, Maher said). Buyers who reach out about one of Houwzer’s listings end up engaging the firm to represent them on another home. The firm asks all sellers to post a testimonial on social media, what Maher calls “social currency,” though it’s not a requirement and not part of the listing contract. They also ask sellers for referrals, so the steep discount sellers get on the listing also an incentive for the seller to refer business to the brokerage. The firm’s done a total of 25 transactions in its short life, roughly split between the sell and buy side, Maher said. Houwzer is focused on building a brokerage before diving into building its own technology, Maher said, much like tech-brokerage luminaries Redfin and Compass have done. But that doesn’t mean the firm isn’t steeped in tech. To be efficient and make its model work, processes have to be seamless, automated and integrated as much as possible. The firm has also developed some of its own tech. It built a dashboard to give its sellers a real-time window into the process of their home’s sale. With the tool, for example, they can log in to see when professional photographs of their home were taken, see active and recently sold comparable homes, and view Web traffic on the portal listings. Transaction documents are also stored in the the seller-facing hub. Maher said that the firm will develop this into a proprietary technology as the company matures. The firm has big plans. It’s halfway to a $1 million funding round and has its sites set on expanding to 15 to 20 markets in the next two years, Maher said. Don’t look for stand-alone offices in your market, however; Maher envisions Houwzer leaning heavily on co-working spaces. By 2020, 60 percent of its workforce will be working out of shared workspaces, he predicted.